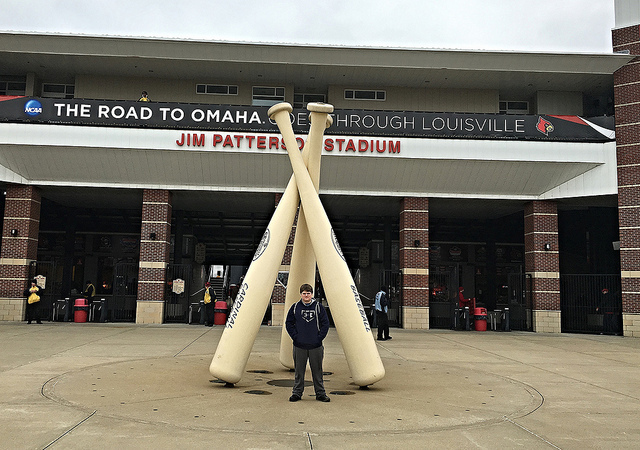 Jim Patterson Stadium-Louisville, KY: While down in Louisville doing some business, we had time to take in our first Cardinals baseball game. The weather didn’t feel a whole lot different than Michigan, in the high 30’s and cool, but I’m definitely not going to complain if I’m able to watch baseball in March. 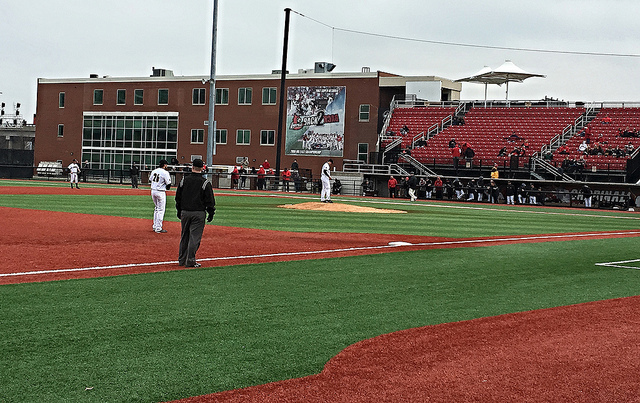 Jim Patterson Stadium is a great college facility, and I honestly can’t believe that the games are free here. 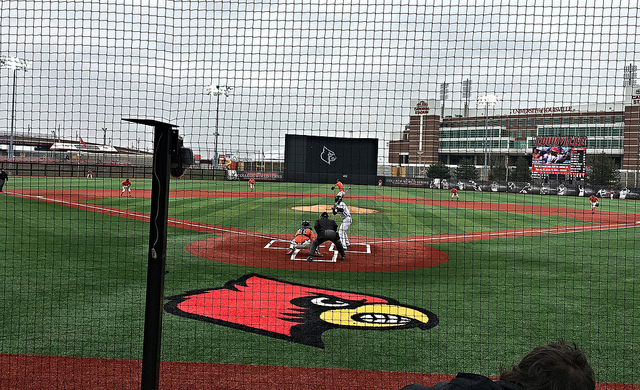 We settled in behind the Louisville dugout, and watched about half of the game from there. The netting extends to the end of the dugout, so it was hard to get any great pics from this vantage point. We moved to the other side of the stadium, and I was able to get a few from that angle. I’m not a huge fan of too much netting, but that’s another story altogether. Despite the cold (which I’m used to) it was a fun game to watch and a good distraction from everything else that’s going on in my life right now. 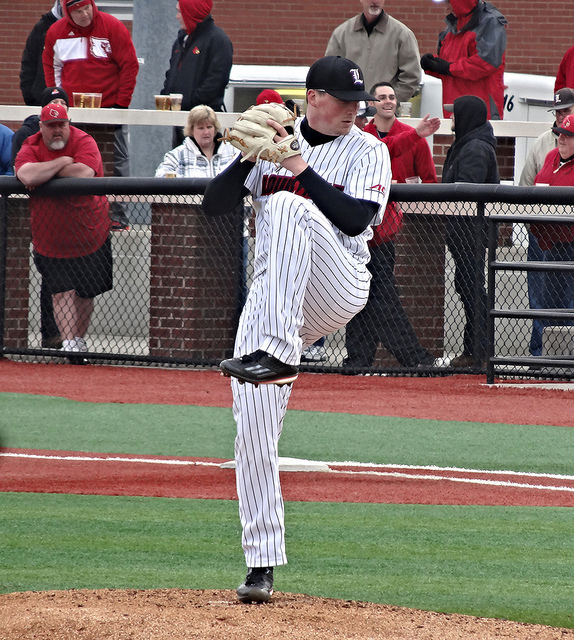 On to the game itself, I was happy to see that Kyle Funkhouser was on the bump for the Cards. He ended up with the win, and tied his career-high with 12 strikeouts on the afternoon. He allowed two runs on four hits, and only walked one batter. Funkhouser also retired the last 11 batters that he faced. In relief, Lincoln Henzman came into the game and pitched two shutouts innings to earn the save. 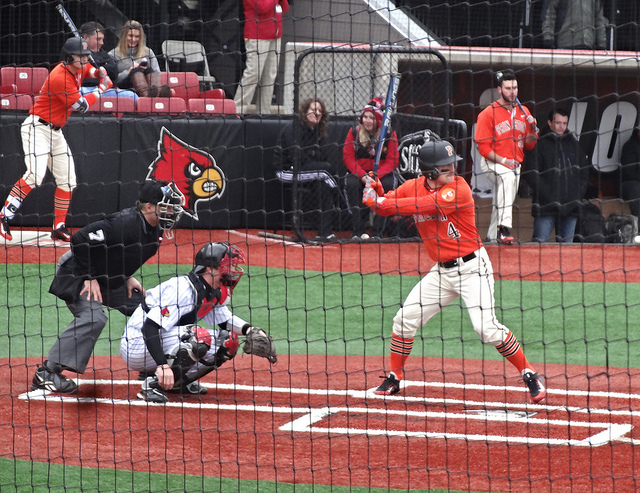 Louisville was led offensively by sophomore third-baseman Blake Tiberi, who was 2-4 with an RBI. 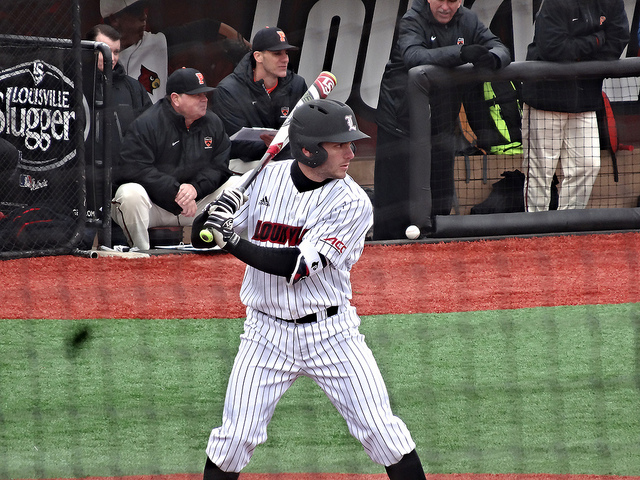 Sophomore DH Brendan McKay pitched in with a double and a pair of RBI’s himself, while junior second-baseman Nick Solak had a single, RBI, and two walks. It was a fun afternoon, and good to get our first game in. I’m sure there will be plenty more that we’ll attend with the quality of baseball and free admission. I’m hoping to make at least one game in Michigan before we get down here and settled, but the next couple of months will be crazy for us, for sure. 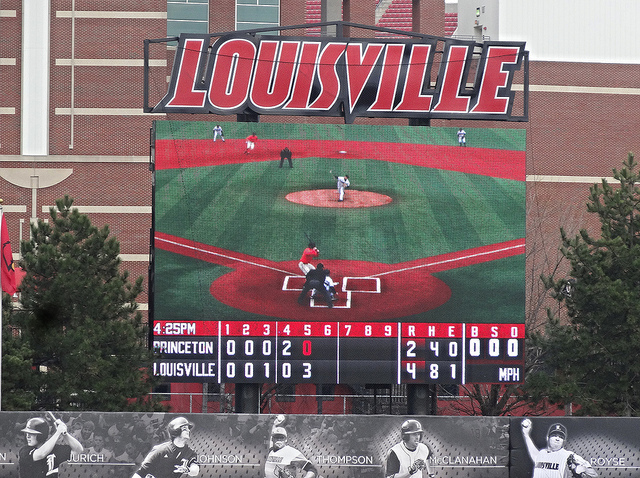 Final score: Louisville 4, Princeton 2. Wow … free admission! Not free in Charlottesville, but pretty inexpensive … $6 on weekdays, I think $10 for ACC match-up weekend games. The season ticket package is an awesome deal. It looks like Louisville’s stadium is much bigger than UVA’s Davenport Field. I’ll miss the UVA series, so we’re all good this season! And I agree the ACC has fantastic baseball (not a big SEC fan, either!). 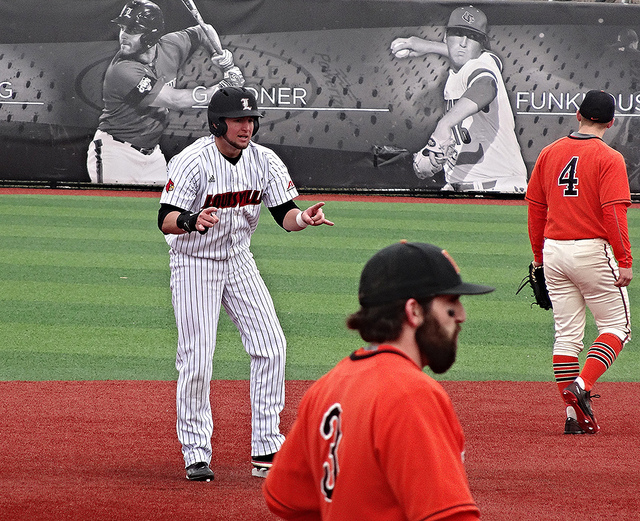 I think we can agree how much fun college baseball is.